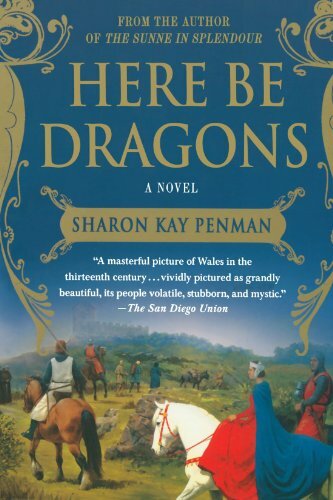 Sharon Kay Penman has been one of my favorite authors since I was a teenager. 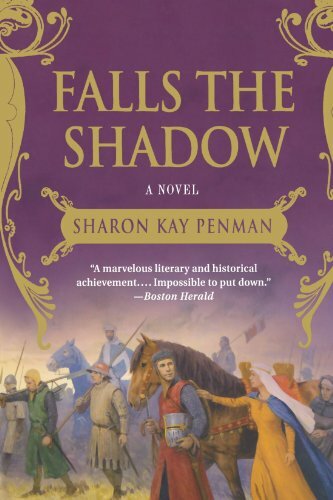 Her novels focus on the Plantagenet family that ruled England for several centuries starting in the 12th century, and their contemporaries. It would be admittedly be pretty tough to make the Plantagenets boring (they were some of England’s least boring rulers, and that says something!) 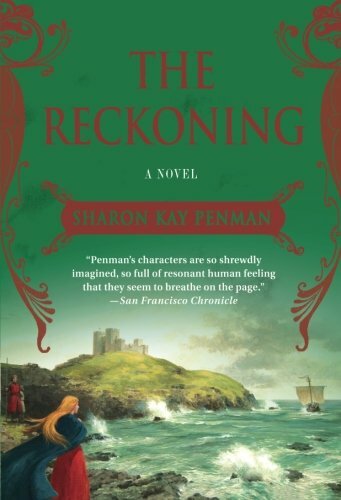 but Penman’s novels are not only highly regarded for their historical accuracy, they’re also rip-roaring good reads, with plenty of action, romance, and intrigue to keep almost anyone enthralled. For such a male-dominated period of history, I like that she also puts a lot of focus on the female characters and their complex situations. The Welsh Princes trilogy were the first Penman books I read, and are still my favorites. I think they have the most appealing characters (confession time: teenage me had a huge crush on both Llewelyns), although history being what it is, they’re also something of an emotional roller coaster, especially the second and third books. Joanna is married to the Welsh prince Llewelyn ab Iorwerth (more commonly remembered as Llewelyn Fawr, or Llewelyn the Great) at the age of 14, and soon finds herself torn between her loyalty to her beloved father (who is here given a more nuanced portrayal than usual) and husband, who she also grows to love deeply. Joanna is nearly unique in the annals of royal wives in that she was caught in an adulterous relationship and not only forgiven by her husband but restored to full favor and position at court. (A Royal Affair demonstrates a much more common aftermath for such a situation.) By all accounts, Llewelyn was grief-stricken by her death some years later, and even founded a Franciscan friary in her honor, which was completed shortly before his own death. I thought Penman navigated this tricky and unusual situation well, and came up with a plausible explanation for it, given the apparent happiness of Llewelyn and Joanna’s marriage otherwise. Book 2 continues with the deaths of most of the characters you grew to love in the first book (seriously, keep a tissue handy!) but introduces new ones in the form of Llewelyn Fawr’s grandson, Llewelyn ap Gruffydd, and Simon de Montfort, the reform-minded French husband of Joanna’s younger half-sister Eleanor (Nell), as they each contend with John’s weak and incompetent son Henry III, and the rise of Henry’s far stronger son, the future Edward I (Longshanks). Don’t throw that tissue away yet! You’ll need it a few more times as Edward warms up for his future role as “Hammer of the Scots” by taking on the Welsh. Although I love them all, this is probably my favorite of the trilogy. Family drama, romance, and high tragedy abound. If you enjoy the Welsh Princes trilogy, I also recommend Edith Pargeter’s Brothers of Gwynedd Quartet, which focuses on the lives of Llewelyn ap Gruffydd and his brother Davydd.